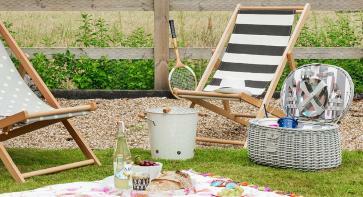 We’re thirsting for an ice-cold pitcher of Pimms or a jug of home-made lemonade, and these jugs are the perfect vessels for our summer tipples. 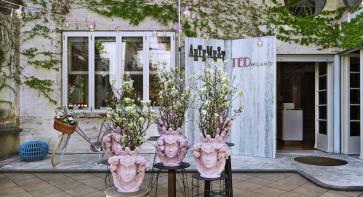 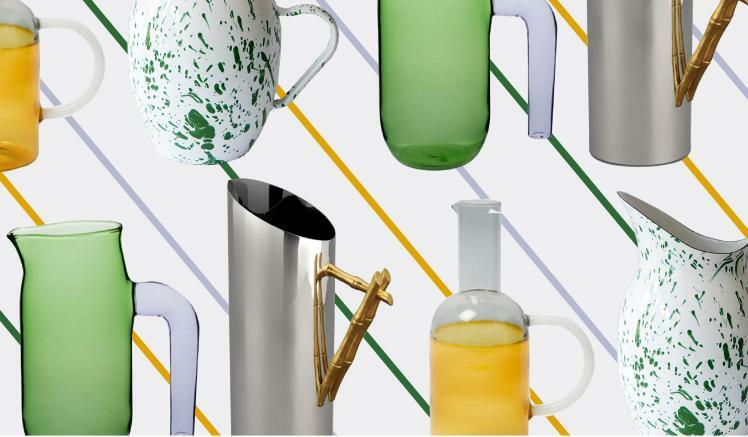 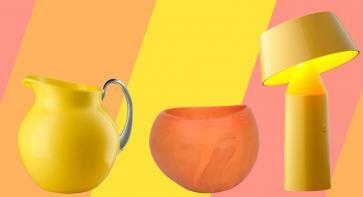 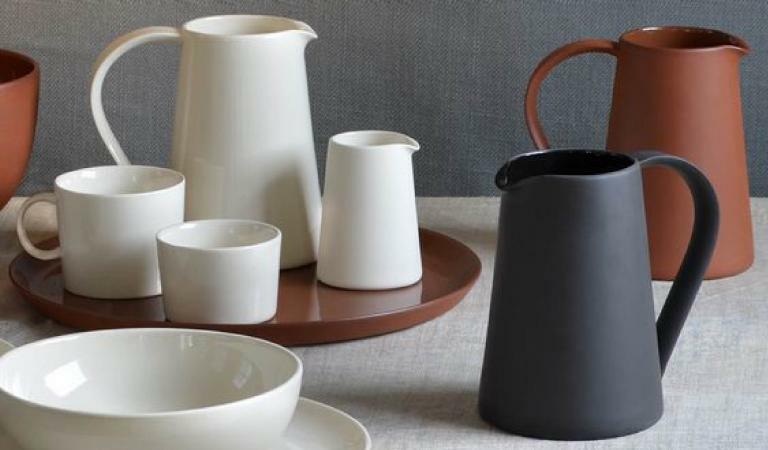 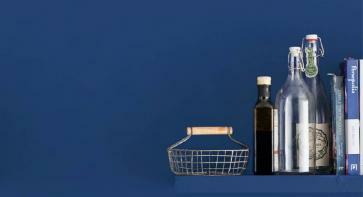 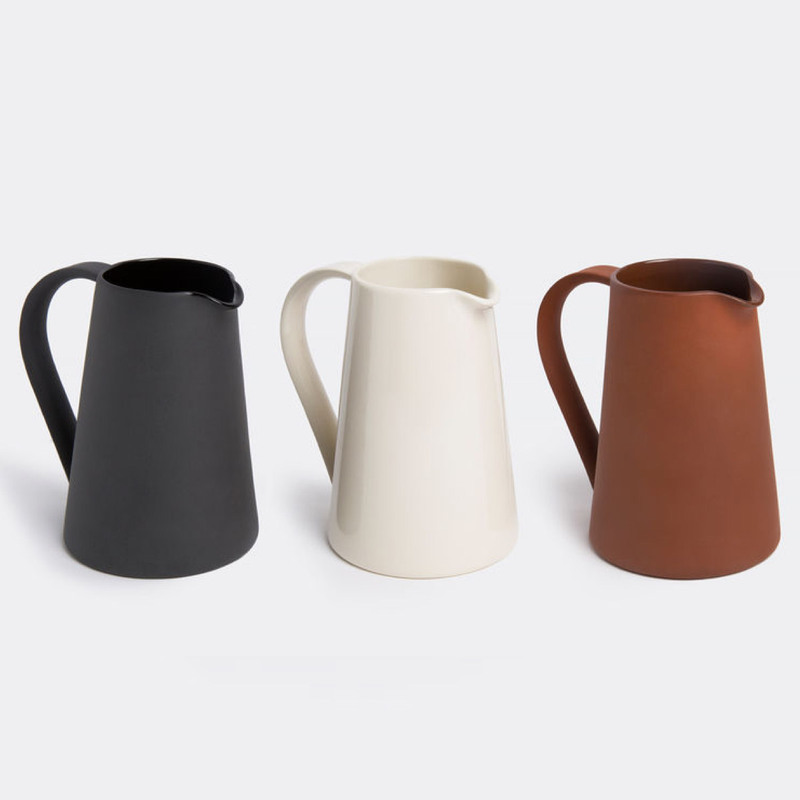 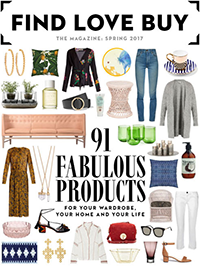 We’ve chosen each of the jugs here because they strike a balance between beauty and practicality: they have strong handles, they’re sturdy, and they come in lots of gorgeous colours and finishes… so they’ll look great and do the trick, no matter whether you’re concocting cocktails or mocktails. 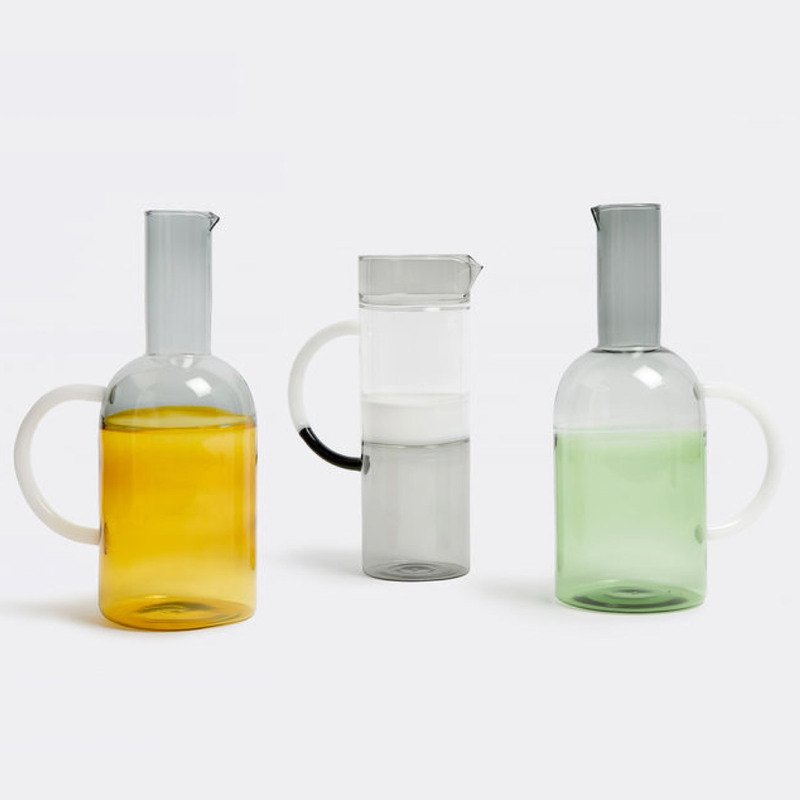 Japanese-Italian design studio MIST-O created this two-toned Borosilicate glass pitcher for glassware brand Ichendorf Milano. 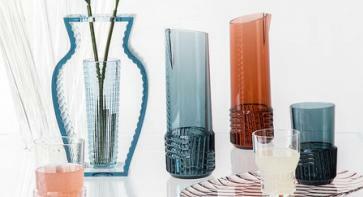 A gorgeous addition to any dinner table. 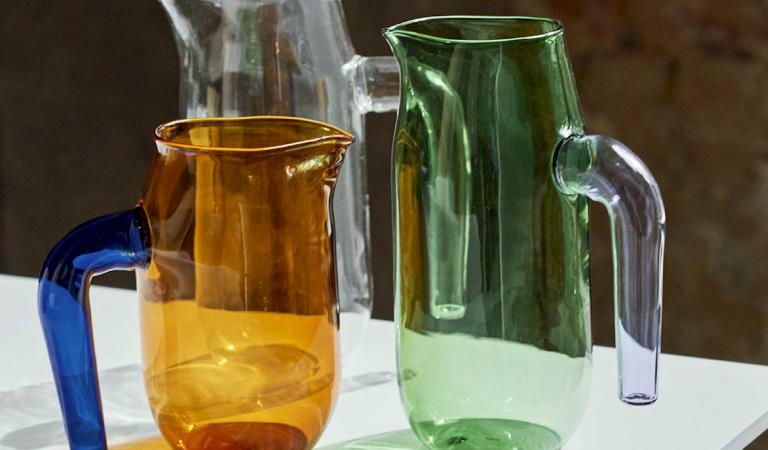 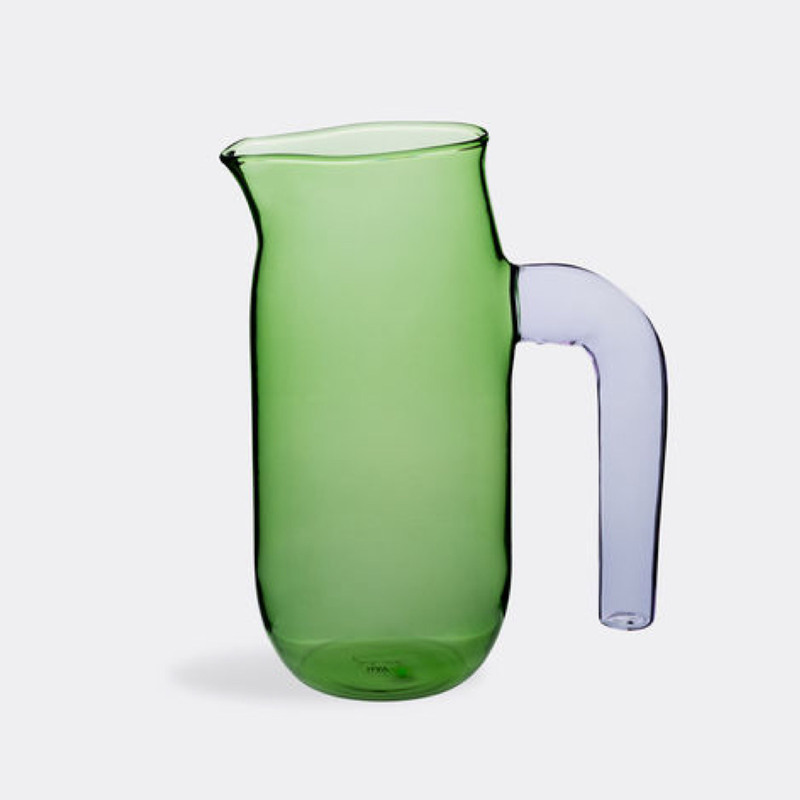 Glassmaker Jochen Holz made this striking borosilicate-glass pitcher for Danish brand HAY. 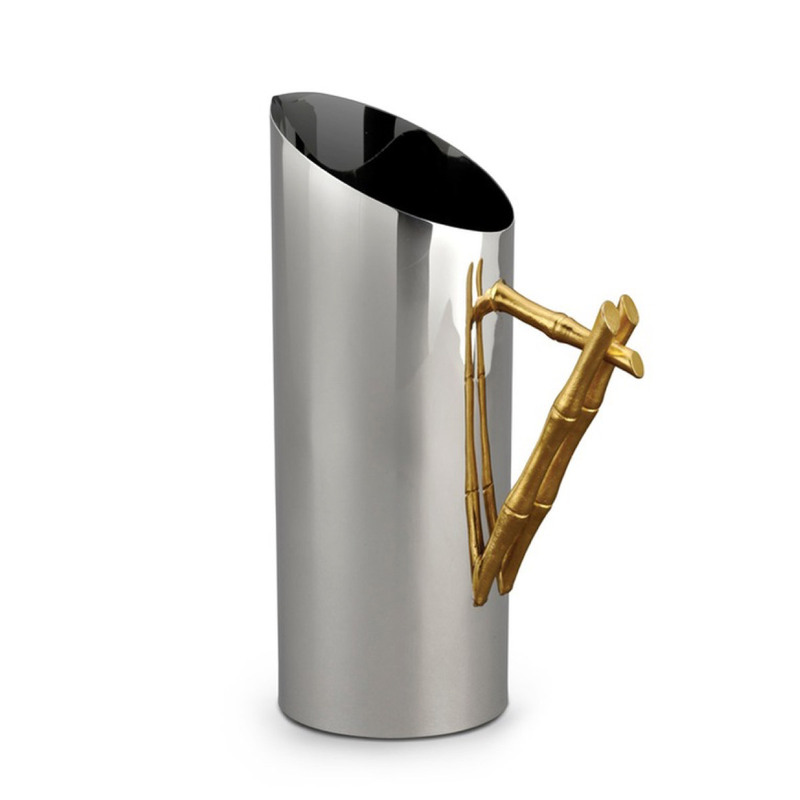 This hand-gilded, stainless-steel jug features a gorgeous bamboo handle in 24-carat gold. 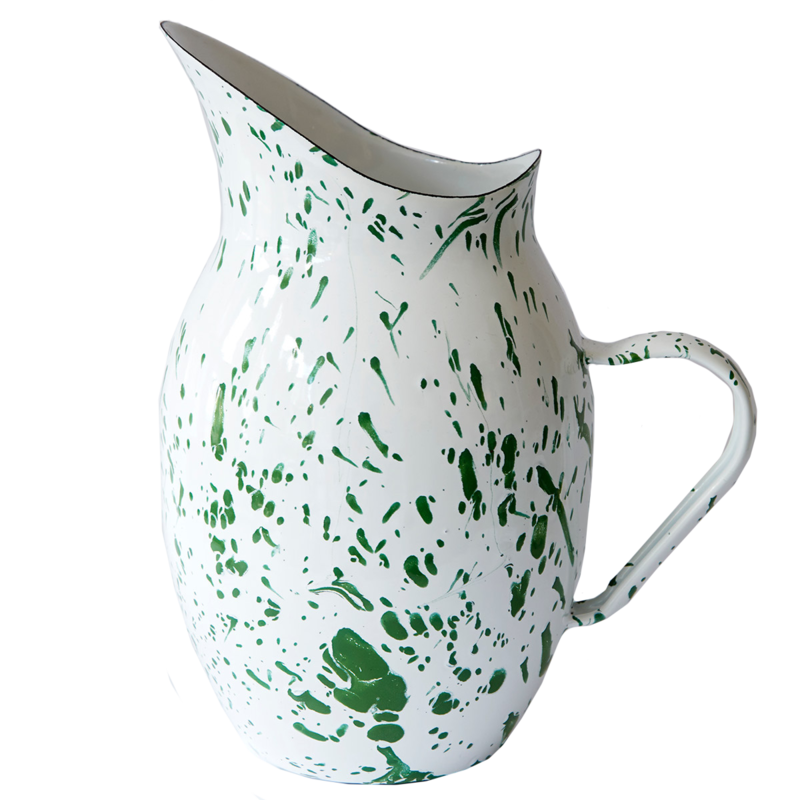 Made of clay, this pitcher is part of a collection created by Ian McIntyre for Another Country.